We will see how to ignore files that are already added previously to your git repository without using the .gitignore file. Use the following commands to achieve the same. git commit -m "Your commit message here"
Now update your .git/info/exclude file to not show the changes in your file_name_here file. Open .git/info/exclude and add file_name_here entry there to start ignoring the file. There’s a simple way to ignore files/folders to stop showing up in your git status. Please remember these are the “new” files and folders that we will ignore from git and not the files/folders that have already been added and are existing in your git repo. Add them in the .git/info/exclude file. Let’s exclude a file random.txt which is in your root folder where you have the .git file, without using .gitignore. Now, let’s exclude a sub_folder. Open .git/info/exclude and enter sub_folder_name. And that’s how we can use .git/info/exclude file for ignoring in git. Today we’ll go through a few of the very simple steps to rename Git branches which maybe present locally or on a remote server. To rename the currently active (the one on which you are currently on, and the one which HEAD ref is pointing to) local branch. 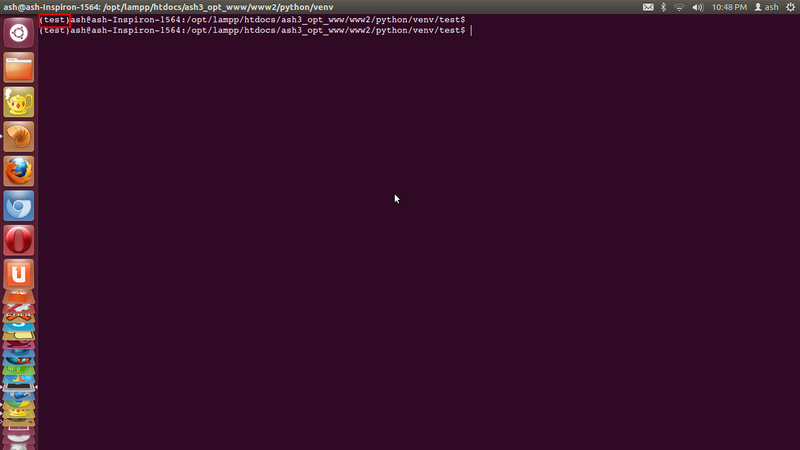 In this case 2 default windows with the first one at the bash prompt and the second one starting the python prompt. Bind a character to the index of the screen window pane. In this case bind character j to window index number 1 and so on. Use it by typing <Ctrl-a> j to go to Window pane 1. Bind v to vertical split of window and h to horizontal split of the window. The above creates regions on your main window splitting it vertically like below. And then the right half of the window further split horizontally like below. If you wish to delete of kill the regions created by the vertical and horizontal split just type your main Command character and Shift+x like so. In this case the screen command character key is Ctrl-a and upper case x. Thanks for reading up until here. We’ll come back with more interesting stuff soon. Netcat (nc) is often called the Swiss army knife of networking on Linux. Let us see a few important things that we can achieve with the nc command when we are tasked with networking on Linux. Scanning a single port (In this case Port:80) on localhost with nc. Scanning multiple ports (Ports:75-85) on localhost with nc. Scanning a particular port on a remote host with nc. For instance if you want to scan Port 80 of our website. Scanning multiple ports on localhost with nc. For instance if you want to scan Port 75 to 85 of our website. Now you can start typing and press Enter in any of the 2 terminals, and see the data being sent to the other side. Thanks for reading! Please do let us know if you have anything to share with us in the comment box section. 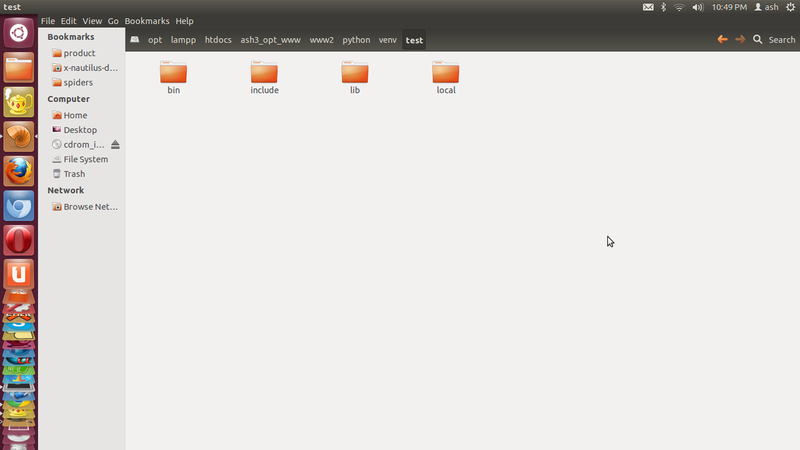 Virtual environment (virtualenv) helps us have different python versions & different python libraries and their versions installed on our system in isolated environment (environment in this case is basically a folder/directory) without affecting our global system python version & its libraries. 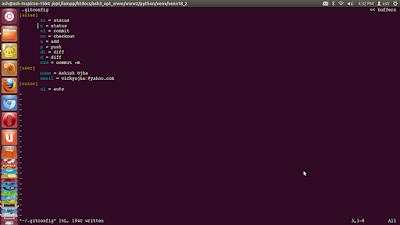 Installing python virtual environment is not too difficult on your system. And activate the virtual environment. So now that we have activated the virtual environment, we can see it on the terminal. So that’s how you work on isolated python environments. This will deactivate your python environment & set terminal to global default values. which can help programmers save time and a few keystrokes while working with git. We’ll see 2 ways of adding aliases to our git commands. Use the git config command to do the same. git config --global alias.cim "commit -m"
config: This option tells git, that everything following should be treated as the configuration for git, and can be added in the .gitconfig (or .git/config file depending on other options) file. unless you have another .git/config file inside a particular repo, overriding the global .gitconfig. Try using the `–global` option since it will help you keep the same aliases across all repositories on your system, if you have a number of them. Without the `–global` option git will consider the local repository by default. Caveat: If you already have the <short_name> as an alias to some other previsouly added command in the config, the –global option will replace that previous one. alias.<short_name> <git_command_name>: Tells git that <git_command_name> particular command will have <short_name> as its alias form. So instead of firing a `git config` command, lets try adding, the aliases directly into this file. & save it & the file now looks like this. Let us know, if the above post was of any help to you. Oh ya! The complimentary rap i mentioned. but i’ll teach you them, uh! bit by bit. oh my gosh!!! what is this sh*t??? (And.. the audience go…). see what exactly PostgreSql ‘Helper commands’ are. to fetch information from the PostgreSql DB. You can fire the PostgreSql Helper commands from the PostgreSql command prompt. 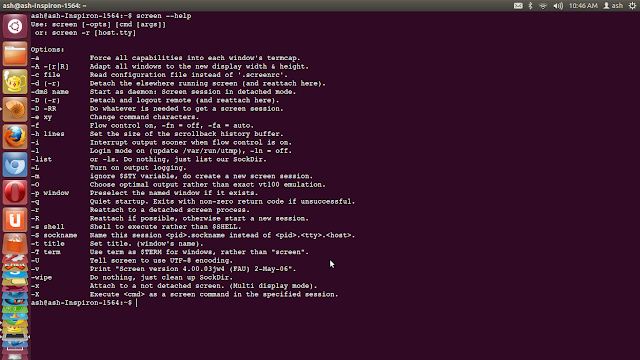 So lets login into the PostgreSql command prompt. psql is the command line utility you would need for this, so lets begin. Type in your <db_password> in the password prompt. So now since we have connected to out database, lets see a few commands. Change/connect/move to a different Database. Will try to come up with more blog post where we can share our information with each other. Please let us know if you have any comments about the blog in the comments section below or if there are any corrections you may have spotted and you would like us to make those corrections. Thanks a lot for taking your time & stopping over at the blogpost. & see how it can help us to know about directories & files on our system. last modified times on them, their size with some other functionalities. (Caveat: This will ignore any file/directory which contains a . (dot) in its name. Sometime, directories contain a dot in their name so they might get ignored as well so watch out, and sometimes, files do not contain a dot in their name). Today we’ll try to see a few things we can do with the screen command. screen is the command you would want to aim at. And, we get the following details about the screen command. you can just type the following. and start working with it. Since you created 2 more screen window in the same bash terminal, by typing the above command 2 times. Press Enter to select the window with id 1. Now fire this command to kill the window. Press y if asked for confirmation like, Really kill this window? And your window id 1 should be gone from the list now. You could also use the arrow keys instead of, j,k,h,l. Type Esc key once to exit scrolling. Open the ~/.screenrc file that you should be having in your home folder (/home/your_username/.screenrc), if you don’t then you can just create it. Enter the following in your ~/.screenrc and save it. Now start screen & your escape key has been changed from Ctrl-a to Ctrl-z. Hackerdays.com, Proudly powered by WordPress.